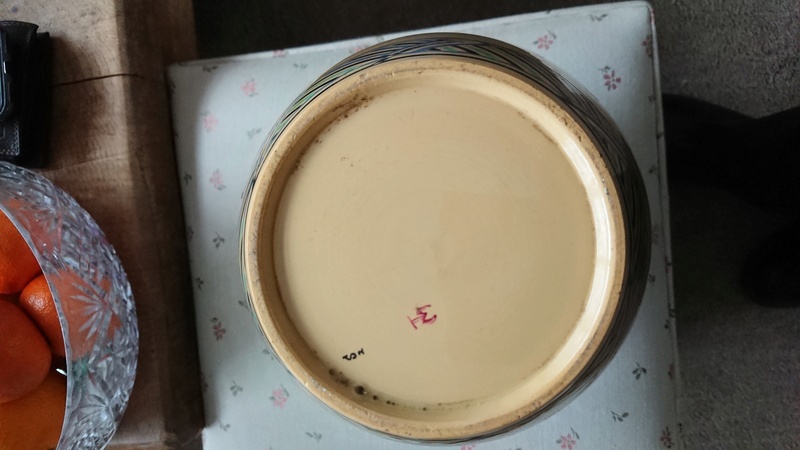 Re: Poole Pottery Trial Vase? The deco style rules out Tony Morris I'm afraid. I dont think it's Poole. Even trials were marked I believe. 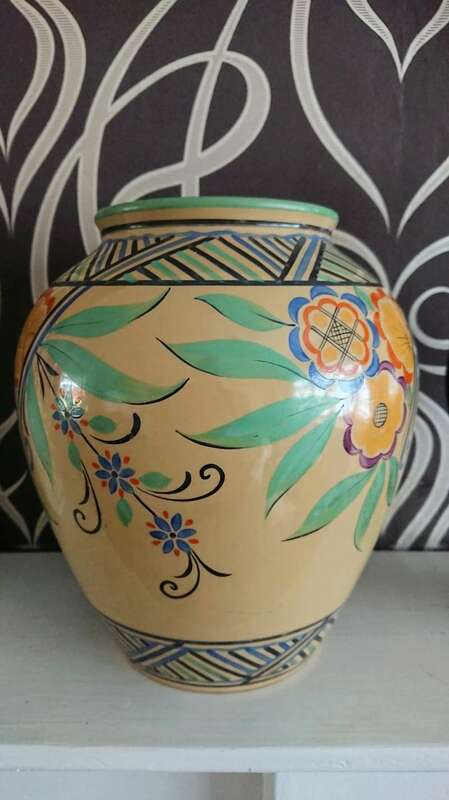 One of many potteries making this type of vase during the 1930s. I will delete the duplicate pictures. Thanks, I wonder who the TM marks belong to? It could well be continental, or even American.